Come and enjoy a hearty and home cooked meal. 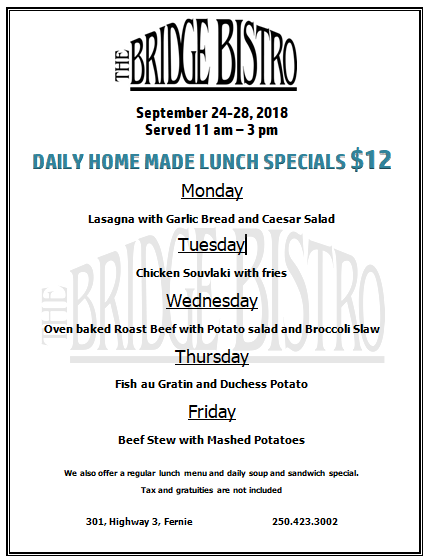 These are the lunch specials for this week. Our regular lunch menu is also available and we serve breakfast until 1 pm every day.